September is Big Brothers Big Sisters month, a time to celebrate all the lives that have been changed by a mentor and to bring awareness to those who still need our support. 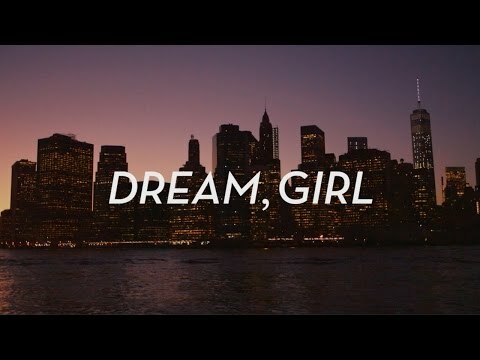 This September, we encourage you to get involved and attend the screening of Dream, Girl. All funds raised will go directly to support Big Brothers Big Sisters of Waterloo Region. Morguard and the Cambridge Centre present a screening of Dream, Girl - the documentary showcasing the stories of inspiring and ambitious female entrepreneurs. The film was named on Oprah Winfrey’s #SuperSoul100! We know the names of Bill Gates, Steve Jobs, and Mark Zuckerberg. But what about the female entrepreneurs? What’s their story? It’s time we stop telling girls they can be anything they want to be and show them what it means to be a leader. This September, imagine who they will become because of you! This event is run as part of Be You, a national campaign created to increase self-esteem and empower girls across Canada. Doors open at 6:30 pm with a fun red carpet! The film will start at 7:00 pm and will run approximately 62 minutes while you sit back and enjoy. Drinks and snacks are available at the concession stand. Afterwards there will be a Q&A session featuring a panel of powerful local female dream chasers followed by the door prize draw. Tickets are $15 and all funds raised will go directly to supports Big Brothers Big Sisters of Waterloo Regions programs. There are 342 youth across Waterloo region waiting for someone to believe in them. Thank you to our event sponsors Morguard and the Cambridge Centre! Big Brothers Big Sisters of Waterloo Region (BBBSWR) is a community organization committed to helping children and youth live their potential. We foster and facilitate high quality and safe mentoring programs for children, ages 6 to 16, who face cultural and socioeconomic marginalization in the areas of academics, relationship skills, social skills and life skills. All of our programs are child centered and offered to families and youth free of cost.